Join us Thursday, December 6, 2018 at 7:00 pm CST! Our guests are Debbie Coffey (V.P.) and Carol Walker (Dir. of Field Documentation) of Wild Horse Freedom Federation. 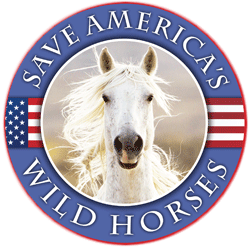 They are leading efforts to save America’s wild horses and burros from being managed into extinction by the Bureau of Land Management (BLM), operating under the Department of the Interior. 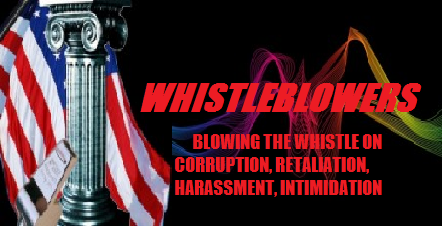 They are going to detail the many ways the BLM is withholding important information from the American public. Debbie has filed about 150 Freedom of Information Act (FOIA) requests for records, and Carol has been “boots on the ground” in the West. WHY? (The BLM already complains that their FOIAs are backlogged, and they can’t keep up.) Debbie and Carol will fill you in on all the details of this, and more. OpenTheBooks Oversight Report – Harvesting U.S. Farm Subsidies Report maps fiscal year 2017 federal farm subsidies flowing to urban areas, wealthy zip codes, and individuals OpenTheBooks.com – a national transparency organization – today released its U.S. farm subsidies oversight report, quantifying all fiscal year 2017 subsidy payments flowing to urban areas, and wealthy zip codes. Research shows more than $626 million in federal farm subsidy payments during the last three fiscal years flowed to recipients in urban areas where there are no farms. Additionally, just last year, nearly 400 recipients across America pulled down $1 million or more in farm subsidies each. “Our data shows the farm subsidy program has become so lucrative that wealthy investors, corporations, and farm-estate heirs piggybacked on a growing government program and added farm subsidies to their investment portfolios,” OpenTheBooks CEO and Founder Adam Andrzejewski said. Residents in America’s five most populated cities received nearly $17 million in farm subsidies over a threeyear period, including Chicago ($7.7 million), Miami ($4.5 million), New York City ($2.8 million), Los Angeles ($1.6 million), and Philadelphia ($309,000). In Washington, D.C., more than 350 recipients received $1.7 million in fiscal year 2017 farm subsidies. In fiscal year 2017, $4.8 million in farm subsidies flowed to the upper-middle class elites in America’s most expensive zip codes. 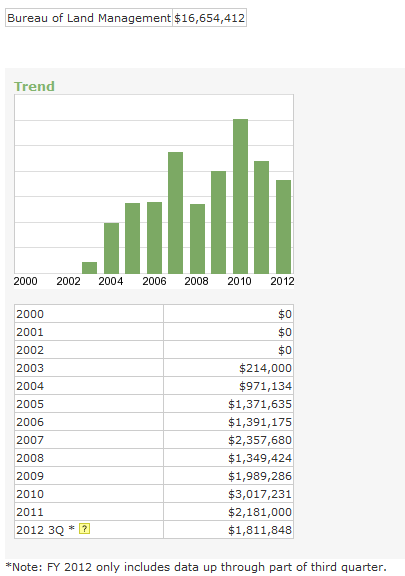 Recipients in Beverly Hills and West Hollywood received $139,080 and $94,090 over the last three years, respectively. Taxpayers even forked over $1.8 billion to pay farmers not to farm their land. Through the Conservation Reserve Program (CRP), farmers received rental payments in exchange for not farming their land – and these contracts can last 10 to 15 years. Last year, even billionaire businessman Glen Taylor – the owner of the Minnesota Timberwolves NBA team – received $116,502 in federal farm subsidies for his egg and dairy farm in Iowa. Additionally, twelve members of Congress collected up to $637,059 in subsidy payments last year alone. Read the report and search an interactive map to see all six-figure farm subsidy payments by zip code. It’s important to recognize we don’t have a free market for farmers in the good ol USA, we have mostly a commodity agriculture system, which by definition involves a lot of government incentives, subsidies, and requirements. Those outside this system struggle harder with fewer guarantees, and every Farm Bill passed by Congress to this day still marginalizes anyone not involved in commodity agriculture. It’s easy to point fingers when only part of the story is shown, as here. CRP programs (from past personal experience) are one antidote to commodity agriculture, in that they incentivize farmers to stop plowing fenceline to fenceline to increase production. CRP programs allow the land to rest and give the soil, water, wildlife, and public a healthier ecosystem. It isn’t the best tool but is is a good one in many instances. From personal experience I can say I’ve seen single leased fields plowed up fencerow to fencerow 15 consecutive years and planted in only corn. Soil health declines are compensated for by adding in fertilizers, soil amendments, and pesticides/herbicides to keep yields up. Unfortunately, most of these are lost in the environment and then of course they must be reapplied each year. The problems are many, but the overarching system is driving it, not individual farmers or individual “patch” programs, like the CRP. Especially as global human population growth increases, all fertile lands will be pressured for development or agriculture, leaving nothing for wildlife or overall ecosystem function. We should all support reforms that include supporting smaller, more local sustainable and ethical agriculture (read: not commodity monoculture), and CRP provides one way to do that which provides good returns for the dollars invested in many cases. Just ask the songbirds, the deer, muskrats and mink, foxes, hawks, and the insects! A closer look shows that it isn’t the small/family farms that are getting the help. Having seen how the federal grazing program works (or doesn’t), it’s a good bet that the little guys are edged out of the game. It’s doubtful that they even have a seat at the table. Nearly one quarter of all FY2017 farm subsidies ($3 billion) went to just 5,952 recipients who received $250,000 or more each. The top recipients included Pinicon Farms in Iowa ($9.9 million); Heard Family Farm in Georgia ($8.9 million); and Hader Farms Partnership in Minnesota ($8.7 million). In FY2017, $4.8 million in farm subsidies flowed to the upper-middle class elites in America’s 150 most expensive zip codes. These zip codes included Beverly Hills, California, 90210 ($15,488); New York City, New York, 10022 ($83,169); and Hawaii County, Hawaii, 96750 ($230,697). Louie, agreed. Most of the smaller/family farms are more diversified and participate only marginally in commodity agriculture. My point was exactly this: that the system supports the larger monoculture-based commodity ag models far more than any more local, diverse, and sustainable operations. Part of the support includes subsidies and guaranteed commodity prices, something the smaller operations can perhaps access but only fractionally. If you only have, say, 10 acres, you simply can’t produce thousands of bushels of corn and enter the commodity trading arena. The little guys (and young people wanting to farm or ranch) are indeed shut out, and ever more acres are conglomerated by fewer and larger corporations. On the face of it those who are on the committees should be denied collection of subsidies, but again, we need people familiar with how our agriculture works to be on the committees and directing policy. We all know too well how many people can easily set up shell corporations by the dozens if needed, so can appear not to be benefiting directly from their own policy decisions. Again, the system allows this so of course people will take advantage of it. We need to change the system to effect meaningful change. 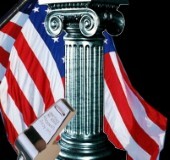 OpenTheBooks.com has catalogued and reported on the federal purchase of guns, ammunition and military-style equipment. Just a quick calculation shows this figure (if total for eight years, as it seems) comes to just over $27,000 per year for an enormous agency. A good handgun or rifle can easily cost a few thousand dollars (not including accessories, ammunition, or any special gov’t. manufacturing requirements), so even figuring at $1,000 that points to a hypothetical 27 firearms purchased on an annual basis. Hardly alarming. Also not often considered, Fish & Wildlife and Parks staff are generally law officers who carry guns to enforce the laws, including traffic violations, so you can think of them as armed police officers and not be wrong. While I’m no fan of out of control government agencies or spending, I’d bet they lose or break that many in a given year nationwide. It’s good to air these records so we can all start to see where our money goes, and why, but some is needed while some is clearly questionable. Why would the FDA agents need to be armed…or the UDSA? I share the concerns but am not sure without itemized costs what the figures really represent. Most federal agencies will (and are required to) have security systems and perhaps security officers in their multiple buildings. It would be worth finding out what “military-style equpment” is actually defined as. USDA may have agents in the fields scrutinizing workers and their immigration status, for another example of folks who may need to be armed. Need more information, especially in a time when many are calling for armed officers in public schools, and some want teachers to carry as well. Some of the costs are probably legitimate but it’s hard to decipher without a lot more depth of information. While no one will say officially what the purpose of this latest raid was, aside from being part of an investigation in progress, what is very clear is that government raids of producers, distributors, and even consumers of nutritionally dense foods appear to be happening ever more frequently. The absolute ridiculous WASTE which we, the public are paying for. I would think some attention should be paid to this! Lots to do – lots of changes to be made! Probably not in our lifetime! It’s like a parasitic virus that has invaded every aspect of our nation. More nonsense from the dickheads at the BLM just plain flat out liars, we are tired of them using+abusing our tax money, and the Wild Ones, this agency must be cleaned up or shut down.